Protojerej Predrag Bojovic was born to Milan and Stojana Bojovic in Cacak, Serbia on September 29, 1976. He was brought up in a religious family and very early in his life, around the age of 10, he expressed the desire to become a priest. After finishing public school at his birthplace, Prota Predrag attended the Seminary at Prizren in 1991-1996. 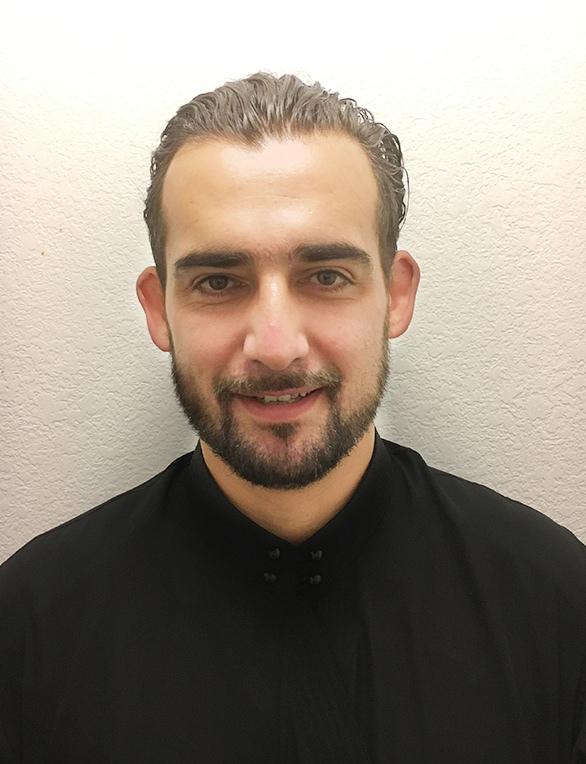 After his graduation from the Seminary of Prizren, he continued further studies in Theology at the Saint Sava Serbian Orthodox School of Theology in Libertyville, IL. In 2000, Prota Predrag graduated from his theological studies in Chicago earning a Bachelor Degree in Theology. Soon after he returned to Serbia and volunteered to serve in the Serbian Army, where he was recognized for his dedication in service and awarded with few military ranks. On August 9, 2003, Prota Predrag was married to Radmila Jovanovic from Kragujevac, and they were blessed by two boys: Lazar (2004) and Konstantin (2008). After getting married in 2003 he was ordained into priesthood by Bishop Chrysostom of Zica and assigned to the Parish of Gornji Milanovac, Serbia, at The Holy Trinity Church but, also, put in charge of the Old Town church of Saint Nicholas the Wonderworker, which suffered greatly under the Communist Regime and needed extensive remodeling. After being neglected for almost 100 years and having irregular services, under pastoral care of Fr. Predrag, this church was brought back to it’s old glory and became a very strong and vibrant liturgical Community. Then, by the Archpastoral blessing of the blessed memory Bishop Chrysostom of Zica, he was transferred to Kraljevo, where he stayed until August of 2010, when he was accepted in to the God-protected Western American Diocese, under the spiritual leadership of Bishop Maxim. Prior to being appointed to the Saint Sava Church in San Gabriel, he served as the parish priest in Salt Lake City and Seattle and as the Dean of the Butte Deanery of the Western American Diocese. His Grace Bishop Maxim also appointed him to be the Spiritual Father Confessor for Diocesan Circle of Serbian Sisters. Please attend the Divine Liturgy at 10:00 am and meet father Predrag. Jovan Katanic was born and raised in a small village, Becanj, near Cacak (Serbia). He finished elementary school in the neighboring village Bresnica. By the grace and blessing of bishop of sumadija Jovan he went to Saint Sava Seminary in Belgrade where he graduated in 2008. That same year he started his studies in Libertyville, IL continuing his education at Saint Sava Theology School. He successfully graduated in 2012. 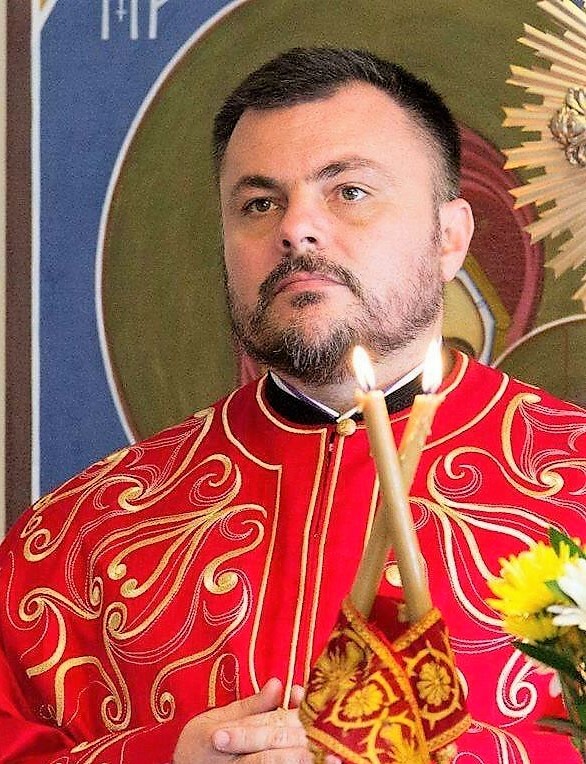 Jovan is married to Sandra Katanic ( maiden Dekic) and was ordained a deacon by Bishop Maxim in May of 2017. The Katanic family lives in Rancho Cucamonga, CA.